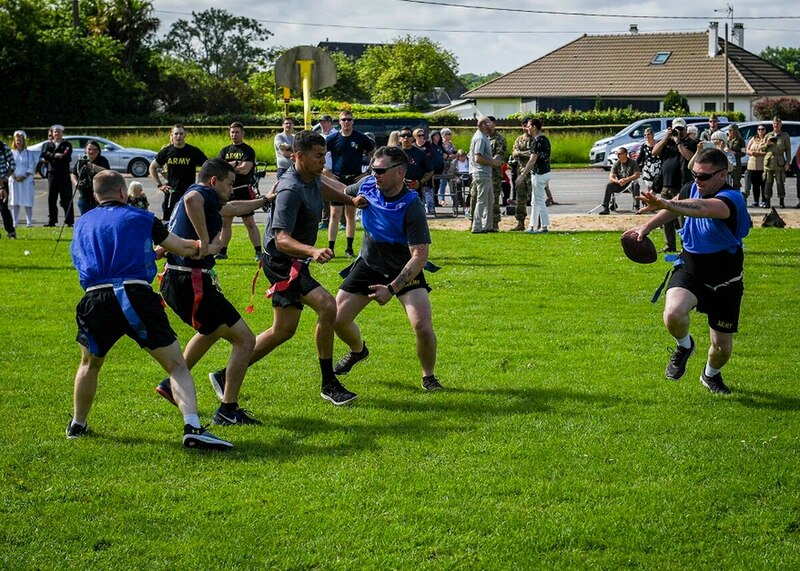 Honoring the soldiers who fought almost 74 years earlier in World War II, 24 members of the 101st Airborne Division gathered in Sainte-Mere-Eglise, France, to play a game of touch football. A similar game was nearly played in the late fall of 1944. Believing a victory over the Axis forces to be inevitable and approaching, American units stationed in Champagne, France, including the 101st Airborne, made plans to organize and play a big football game. The division held tryouts for the game, dubbed the “Champagne Bowl,” which they planned to take place on Christmas day, according to Stars and Stripes. The pigskin did not see any action that day, however, as 10,000 men of the 101st Airborne Division marched north to the Ardennes, to a conflict that would come to be known as the Battle of the Bulge. Plans for the “Champagne Bowl” were forgotten until Helen Patton, granddaughter of the late Gen. George Patton, learned of the game in 2017 while talking to a historian at the 101st Airborne Division Museum in Bastogne, Belgium. 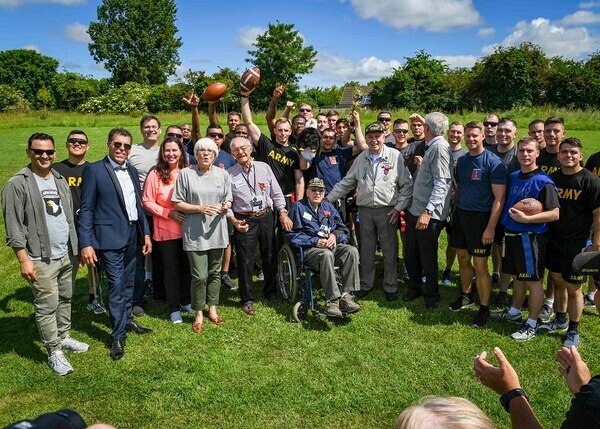 So, on June 2, after 74 long years, the game finally took place, with present day members of the 101st Airborne participating. The soldiers were already in Normandy to participate in D-Day anniversary events. Patton plans to continue this new event annually, and is in the process of working with local mayors in the area.